The summer´s contest has come back. #OblumiTravel begin again. Here we are again! Yes, why not? #OblumiTravel Contest! Last year we wanted to share with you our vacations, our journeys in holidays. And here we are again. This year summer has come a little bit earlier, so we want to begin right now, in July. If you have it, take a beautiful picture as LittleMiss did last year. 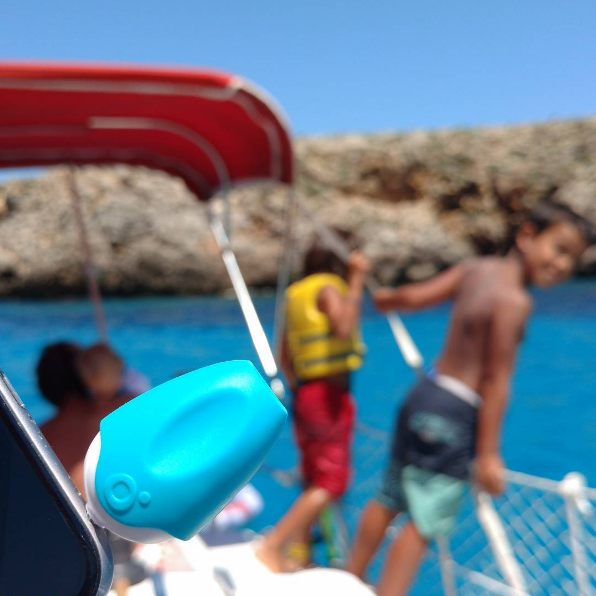 If you haven´t got it, don´t worry, this way with your most beautiful photo of your Summer Holidays you could win an Oblumi tapp and another surprise for your #TheNowFamily. How could you win it? It is very very easy. 1. First of all, take a nice picture of your Summer days! 2. Post it on Facebook or Instagram and tag Oblumi! It is very important because it will appeared on our feed and our stories. That way we can see it. Public mode on, please. 3. Use the hashtag #OblumiTravel so we can find all the pics for these contest. 4. The picture with most likes will win an Oblumi tapp, so invite your friends to give it some love to your picture! And here we are again. Share your best summer photo and get all the likes ❤️ you can! Follow the instructions. It´s very easy!